The growth of craft brewing in the United States has been explosive in recent years. The producers who thrive in this more competitive market will be the ones who can lower production costs while maintaining the high quality responsible for their success. In an era where the American public demands social responsibility from their favored brands, environmentally sound practices are also a necessity. Artic Solar’s unique solar systems provide the optimal solution. Our XCPC system uses the newest technology to provide clean, renewable energy for heating & cooling processes at a lower overall cost than any other energy source. The growth of Micro Distilleries in the United States is explosive. The number of craft distillers has risen from 24 in 2000, to 52 in 2005, 234 at the end of 2011 and more than 1280 in 2015. The compound annual growth rate of distilled spirits permits was 16% between 2007 and 2015. The number of production facilities in the U.S. has more than tripled since 2007. The Number of Craft Distilleries in the U.S. is the highest since Prohibition. The growth of the Brewery industry is significantly higher. The Brewers Association, the trade association representing small and independent American craft brewers, released 2015 data on U.S. craft brewing growth. With more breweries than ever before, small and independent craft brewers now represent 12 % market share of the overall beer industry. Additionally, in 2015 the number of operating breweries in the U.S. grew 15%, totaling 4,269 breweries. It has been reported in 2015, craft brewers produced 24.5 million barrels, and saw a 13% rise in volume and a 16% percent increase in retail dollar value. Retail dollar value has been estimated at $22.3 billion, representing a 21% market share. Brewing and distilling is an energy-intensive process, and the target for every brewing company should be the development of a sustainable process with efficient energy consumption to achieve savings in fuel and energy costs. Plenty of heat is needed to make beer and spirits; from the mash for beer and distilled spirits being made with hot water, to boiling the wort before fermentation, and for distilling the fermented wash to evaporate the alcohol. While many Brewers have chosen Photovoltaics (PV) as a solar solution (good for them), they may have been better off choosing solar thermal to have a larger impact on Brewery energy reductions and reducing GHG emissions. PV may have a larger impact on the energy costs of wineries but they still have a large thermal load that can be generated by solar thermal. Energy usage in breweries varies depending on size, location, and product. Refrigeration generally creates the largest electrical load, while brewing consumes the largest amount of natural gas or Propane (used for heat). The major consumers of electricity in breweries are refrigeration (44%), packaging (20%), and compressed air (10%). Solar Thermal Cooling canreduce the demand for electircity for refrigeration. Single and Double Effect absorption / adsorption chiller can produce the chilled water for refrigeration and heat energy for the process. This 45% of energy used in the Brewing process is a significant cost to the Brewer. The competition for market share will depend on brewer costs per barrel to produce, location or access to market and the taste and quality of the brew. Energy costs are forecasted to continue to rise. In its January 2017 Short-Term Energy Outlook (STEO), EIA expects the Henry Hub natural gas spot price to average $3.55 per million British thermal units (MMBtu) in 2017 and $3.73/MMBtu in 2018, both higher than the 2016 average of $2.51/MMBtu. Higher prices in 2017 and 2018 reflect natural gas consumption and exports exceeding supply and imports, leading to lower average inventory levels. Natural Gas prices have been historically low but we knew they would rise again, they always do. This will certainly affect all food processing industries and will have a greater impact on the Breweries, Distilleries and Wineries. The average kWh/BBL ranges for breweries of all sizes is well documented. In general, smaller breweries have higher kWh/BBL numbers because their smaller volumes do not offset the base energy required to brew a barrel of beer. The kWh/BBL represents the amount of energy used to produce one barrel of beer. Solar thermal energy can be used for heating processes in all brewing and distillation process, bottle washing machines, and pasteurizers or for cooling processes with absorption chillers. These are heat dependent processes that can easily be supplied by solar heating. The sun can be seen as the lowest cost of energy provider. In past years, many Brewers and Distillers have put great effort into energy conservation by installing photovoltaic (PV) to generate electricity and solar thermal energy collectors to produce heat for their processes. The target for every manufacturer is the development of an environmentally sustainable system that actually reduces electricity and fuel costs. Artic’s solar thermal system has twice the efficiency of traditional solar (“solar PV”) and can reach temperatures up to 4000F with no moving parts. The XCPC system will reduce more than twice the Green House Gas (GHG) emissions and generate more than twice the usable energy for the Brewing and Distilling industries. It combines age-old technology, which uses the sun to directly or indirectly heat fluid, with sophisticated optics recently developed at the University of California increasing the amount of the sun’s energy absorbed, reducing the system cost and allowing the systems to be installed anywhere across the globe. Artic Solar manufactures the revolutionary XCPC solar thermal collector developed for use in industrial and commercial applications requiring high temperatures. The XCPC collector reaches operating temperatures between 190°F – 400°F. The lower range temperatures are designed for water heating while the higher temperatures operate solar space heating systems and provide the power necessary for high efficiency Double Effect Absorption chillers for Air Conditioning and Refrigeration. In addition, the XCPC collector is the lowest cost of energy in producing live steam for process heating. Steam consumption for a Brewery is about 100 kg/hour, the standard value for a capacity of 600 liter pot, assuming 1-hour time to bring the mash to a boil. To finish the process, you need an additional 1.5 hours consuming approximately 70 kg steam per hour. For the calculation of the energy consumption the following basic numbers require a “Net” of 170,000 BTU per hour for the process. A study conducted in California several years ago reported that the wine industry was the largest energy user among food industries (Selfridge, 2009). It is estimated that the up to 70- 80% of the energy consumed by a winery is electricity and up to 25% natural gas, LPG or diesel. A properly designed solar heating system could produce up to 80-90% of the thermal heating and fossil fuel consumption required by the winery. Low cost storage for thermal systems allows the heat to be supplied to the winery when the demand is present. Not just during the daylight hours. Wine making is an energy intensive process. Even small operations use large amounts of energy. 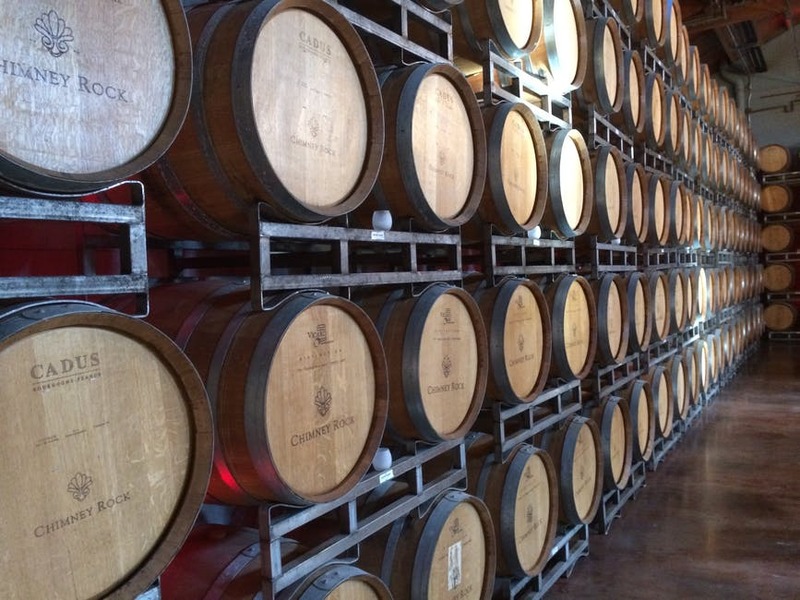 Because of this, some states have begun to implement formal sustainability programs to reduce energy use at wineries. These programs have demonstrated that energy efficiency improvements and on-site renewable energy generation can significantly reduce a winery’s energy demand. whether you are making a fine craft beer, smooth and tasteful distilled beverage or taking the vineyard to the wine bottle there are many applications for solar thermal heating systems to reduce costs and provide a positive contribution to the environment. Take the first step. Look at what you can do to improve the operation of your process or facility. It’s easy. Contact us to talk about solar thermal solutions for your operation.